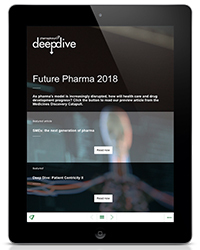 pharmaphorum’s digital magazine Deep Dive provides objective, issue-driven views, analysis, high-level interviews and unique research for pharmaceutical companies, biotech firms and the wider healthcare sector. In 2019 Deep Dive will have special focuses on disruptive technologies in pharma, R&D innovation, market access & commercialisation, oncology, sales & marketing innovation, digital health and patient engagement. 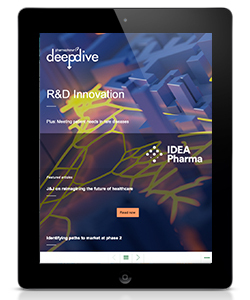 In this issue of Deep Dive Magazine we look at innovation in R&D, asking how pharma can change up the development model with new strategies and technologies to cut waste and ensure the best medicines get to the patients that can benefit from them. Plus, we have a special focus on rare disease patients and how to best meet their needs. There’s expert input from IDEA Pharma, Havas Lynx Faze, Johnson & Johnson, AstraZeneca, Alexion and Spire Health, as well as rare disease advocates Seth Rotberg and Ana Velosa. 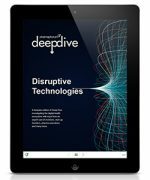 In the first issue of Deep Dive for 2019, we look at disruptive technologies in pharma, how they’re changing medicine, research and development, and healthcare, and how the pharmaceutical industry is responding to these momentous shifts. There’s expert input from Pfizer, Johnson & Johnson, AstraZeneca, Bayer, Sandoz and a host of other digital health movers and shakers, plus thought-leadership from Evidera, Syneos Health and the Digital Therapeutics Alliance (DTA). This bespoke edition of pharmaphorum’s regular Deep Dive digital magazine was produced in partnership with Healthware International and Frontiers Health. It investigates the digital health ecosystem with input from investors, start-up founders, pharma executives and many more to look at the convergence of digital and traditional medicine, the pace of healthcare technology adoption and the transformation of patient outcomes. Highlights from our Oncology special include an interview with Merck & Co’s Roy Baynes on Keytruda, plus further insights from ASCO 2018 into CAR-T cell therapies, reviews of the latest prostate and breast cancer research and how digital technology could help diagnosis. We also hear from Witty Health on blockchain technology and from Oncolytics Biotech’s Matt Coffey about the oncolytic virus renaissance. Plus, health economist Leela Barham reviews the latest ways to assess the worth of new cancer drugs. This Future Pharma issue brings forth evidence of what the likely future is for our industry, what this means for healthcare and how pharma can best navigate the sea of change ahead to ensure a successful and sustainable future. Chris Molloy of the Medicines Discovery Catapult explains why the future of medical innovation lies with the industry’s SMEs, Karen Taylor of Deloitte offers six predictions for the course of our industry and there’s a look at how nanotechnology is now advancing medicine. The phrase ‘patient centricity’ has been a buzzword for some time in the industry, but how many pharmaceutical companies are merely paying it lip service? Are there firms that truly understand and have taken steps to reorganise their approach, internally and externally? Though patient organisations and charities may feel pharma has a long way to go, this edition of Deep Dive features many examples where companies have listened and partnerships have resulted in improvements to patients’ lives – and the bottom line. There are an increasing number of digital health companies working to capture and analyse data that can be used to improve areas such as patient outcomes, clinical trial recruitment and real-world outcomes. As pharma companies work to blend digital into their processes, this Deep Dive edition hears from the experts about how to navigate the challenges that remain and make the most of the sector’s data-driven future. Ultimately, market access is about ensuring effective treatments reach the people who need them. There are many components that must fit together along that journey, as explored by our expert contributors in this edition. Just some of the themes include: the real impact of a Health Technology Assessment (HTA) decision, the promise of the ‘MINT’ countries (Mexico, Indonesia, Nigeria and Turkey) and a step-by-step guide to the generation and use of real-world data. The 2017 Future Pharma issue of Deep Dive comes as healthcare faces transformation as tech companies move into the sector and, in turn, pharmaceutical firms partner with them to develop novel solutions for patient monitoring, adherence, improving clinical trials, big data analysis, and recording the real-world effects of therapies, to name just a few. Add proactive patients and tailored drug advances and the future looks both exciting and uncertain. Advances in treatments are revolutionising cancer management, but with more people living longer with cancer, is the wider support infrastructure for patients and carers adequate? This edition also examines the latest immuno-oncology techniques, the question of affordability, and the cutting-edge research being funded by Cancer Research UK’s Grand Challenge programme. What does ‘patient centricity’ really mean? And what does it look like in practice? Can embedding a person-centred approach in an organisation be a win for the company as well as the patient? 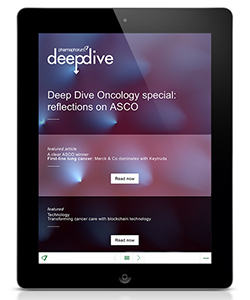 The European Patients Forum, European Society for Person Centred Healthcare, Findacure and the EMA’s Patients’ and Consumers’ Working Party, outline examples of best practice and areas for further development in this issue of Deep Dive. 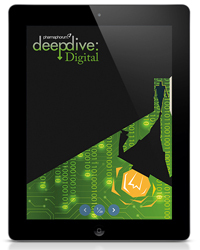 This 2016 issue of Deep Dive examines the use of digital health technologies, ranging from data management and real-world evidence, to industry initiatives and best practice in social media, plus we look at how to get the most from gamification and scientific animation. Read the views of some of the top minds in the field, from companies and organisations, including IBM Watson Health, Twitter, the ABPI and EACA, and learn what’s next in the digital revolution. 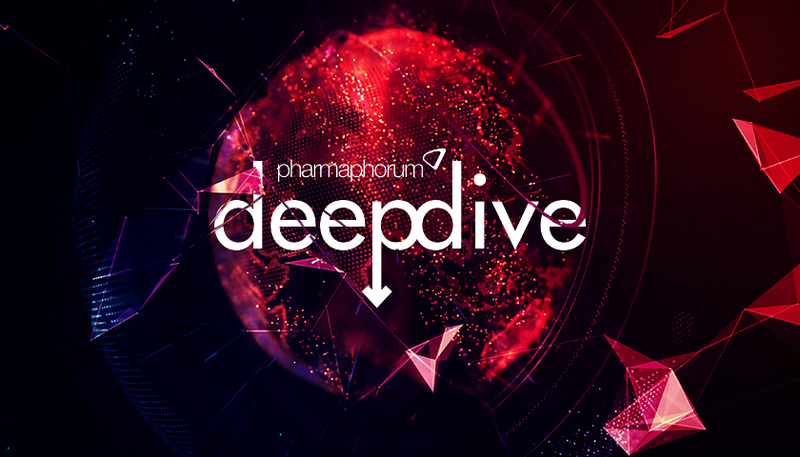 This 2016 debut edition of pharmaphorum’s Deep Dive digital magazine brings you intelligent insights on market access in a series of in-depth articles and opinion pieces from industry thought leaders, patient group experts and our pharma journalists. Read a keynote from EFPIA’s director general on how the industry is willing to partner with payers to overcome the challenge of rising demand from ageing populations and chronic diseases.